Have you been trying to add an outdoor living space to your backyard and trying to decide if granite countertops would be the best solution for your needs? Then you have definitely stumbled upon one of the best ways of adding some class and pizzazz to your backyard. Using granite countertops in your backyard patio is a great way of making your backyard oasis look amazing, while keeping a very high level of functionality in the area. Here are some ways of being able to add granite countertops to your backyard and increase how often you go outside and enjoy them. Setting up an area that can house your grill in the backyard just begs for granite countertops. That allows you to have someplace that is heat safe and sturdy enough to hold on to the food items that you have prepared for the grill, plus have some place to set them after they come off the grill before you bring them into the house. You can have a side counter that is just large enough to hold a plate or two for grilling, or you can add massive granite countertops to both sides of your grill so that you can prepare everything outside if you feel so inclined. If you want to take your backyard grilling station just a bit further, you can even set it up in a way that allows you to do more with it. Think about having granite countertops above a small fridge that can be plugged into your house for whenever you have guests over. It protects the fridge from the elements, plus you can use it to hold food or drinks that you will be serving your guests. This can give you a prep station, a grilling station, a cold station, and if you make the granite countertops long enough, you can even have a serving station where people can sit down and eat the foods you are making, as they are done. Maybe you should consider other ways of being able to use a grilling station outside. For people who are pizza fanatics, you can add in an outdoor pizza oven surrounded by granite countertops to set your pizza on and enjoy it. Since granite is nearly heat safe, this is a great way to add something unique into your backyard. This can be a great conversation starter when you have guests over, and it can be something that you fire up just for yourself and your family. What better way to make your pool even more fun than to add in a bar alongside? Having a gorgeous bar that makes you want to spend time sitting by the side of the pool instead of playing in the water. Putting granite countertops on the top of your bar is not only going to look amazing, but it is also going to be very functional. You can easily wipe up a spill, and you do not have to worry about struggling with water rings from frosty summertime drinks if you opt for granite countertops. They will be easy to maintain and they will always have the look you were going for when you had them installed. Once you have granite countertops installed, you need to make sure they are sealed to help protect them from the weather changes that come with being outdoors. 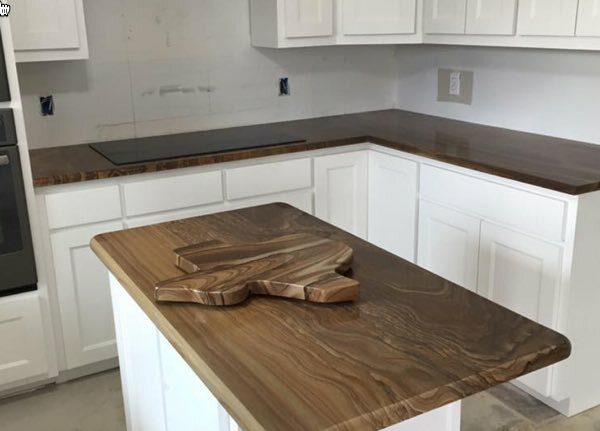 You should ask the people who install your granite countertops if you should stick with the traditional sealing process, or if you should have a thicker seal put on the granite to help protect it from Mother nature. You then only need to keep it clean and enjoy it! Make sure you go through and wipe off your granite countertops before using them, even to set plates on if you are grilling, as that could inadvertently transfer into your food. When you are done using them at the end of each day, wipe them down so they are ready to be used again next time. If you happen to leave anything sticky on them between uses, you could end up damaging your granite countertops, which is definitely not something you want to do with a surface as beautiful as those. Once you know what type of project you are going to put outdoors that requires having granite countertops installed, then you need to call in people with the training and experience to get the installation done right the first time. Granite Huggers is the perfect place to call when you have your mind made up as to what you want. They can even help you pick out the type of granite countertops that are going to work best for your specific needs. Give Granite Huggers a call today, at (972) 670-4533, and let them help you get the outdoor granite countertops of your dreams!